The local way to sell and buy. One of the most downloaded boot sale, flea market and classifieds apps with over 10 million users. Apple recently chose Shpock for its "Best of 2017" award in the field of "Sustainability". Buy and sell easily with Shpock. Find great deals nearby and turn items into cash. Save time and earn money. Whether looking for second hand, used, vintage, new or simply beautiful classifieds, Shpock is always there as the SHop in your POCKet. Enjoy 24/7 access to your market place. ▶ Among the Top 5 most downloaded UK Shopping Apps in 2016 and 2017. ▶ More than 10 million users and items. ▶ Buy and sell anywhere anytime, locally or far away. ▶ Find great bargains from millions of classifieds. Easier, faster, more secure: Shpock users can now use PayPal for their purchases and sales. This means that users can pay directly in the app and receive their money immediately. This accelerates the handling of deals and protects the data of the involved parties. In addition, both sides benefit from PayPal’s Buyer Protection or PayPal’s Seller Protection. ▶ List adverts for sale in seconds: add photo, a few words, price… and that’s it! ▶ No listing and transaction fees. ▶ Share your ads on Facebook or Twitter and sell faster. ▶ Create search alerts and catch the newest offers on your favorite items. ▶ Communicate: ask questions openly – chat and bargain privately. ▶ Meet nice people nearby. ▶ Start your own designer shop or discover talented young designers. 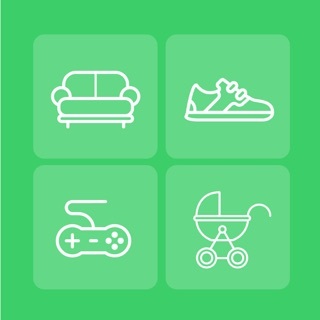 Shpock flea market, boot sale & classifieds app for beautiful things. It makes buying and selling extremely simple and fun. Thousands of items are listed daily for every taste: new and used clothes, second hand shoes, games, electronics, game consoles, smartphones, TV, young designers apparel, fashion, vintage, second hand furniture, sofas, beds, tables, baby goods, prams, preloved cars, caravans, bikes, home and garden, yard stuff, books, tickets, rentals, rooms, flats, apartments, other property, unwanted gifts and much more… Best wishes in your success journey! Install it now and get the free mobile market place! We want to do everything to make your Shpock experience as easy as possible. If you need any help please contact our customer service on support@shpock.com via email or @shpock via twitter. DOWNLOAD NOW – get a SHop in your POCKet! Should you choose to upgrade to a Premium Membership, payment will be charged to your iTunes account at confirmation of purchase. We offer three types of subscription intervals (the price may vary by location): monthly subscription = £9.99, 3-month subscription = £18.99, and yearly subscription = £54.99. Account will be charged for renewal within 24-hours prior to the end of the current period, and the cost of renewal depends on the period of subscription chosen. Subscription automatically renews unless auto-renew is turned off at least 24-hours before the end of the current period. Auto-renewal may be turned off in your Account Settings in iTunes after purchase. No cancellation of the current subscription is allowed during an active subscription period. You can also manage your subscriptions in Account Settings after purchase. Any unused portion of a free trial period, if offered, will be forfeited when the user purchases a subscription to that publication, where applicable. Further improvements are made with the app’s design to make the browsing experience much better. Check out the Spotlight section for the hottest deals on sale. Great App, some end users bring it down though! The Shpock app itself is really good and well thought out - it's intuitive, relevant and ergonomic in almost every area. The only downside to this app is nothing to do with the build of the app and everything to do with the end users who are using it. I would say it's roughly 50/50 on whether you are going to get a trustworthy and responsible, honest and reliable buyer/seller and the rest of the time it's going to be people who just literally waste everyone's time and don't seem to care about it. This is a shame because it's so easy to upload a new item for sale within literally seconds, but then to spend sometimes weeks or months selling it because you've had to relist the item several times due to people saying they are buying it then not turning up or cancelling the sale altogether - there is no real incentive to the buyer to carry on to the end of the transaction if they so happen to just change their minds, I understand that this is sometimes good for everyone but St the same to.e, I tink it would be better if "repeat" incidents by the sesame buyer/seller are then treated differently and some sort of eating or penalty fee are then levied on those users, that would surely help to weed out the non-serious users?... Anyway... Rant aside as I said this app is brilliant for what it is intended for and is really easy to use even for the beginner level users out there. I really enjoy using this app. I use it mostly to buy and sometime to sell something that I don’t wear anymore or give stuff away for free . It is easy to use and most people are happy to post items so you can look further afield for things you really want. I suppose it would be nice to be able to communicate privately with a seller without having to make an offer each time just to be able to add the message in,and send an offer back and forth just so you can ask and answer questions regarding location etc which the seller may wish to keep private away from the shared comments section. My advice to sellers is not to link your PayPal account as you invite extra charges then from schpock and PayPal. Like that you are prompted to review and rate a transaction and the other person cannot see it unless they rate and review. Feedback is always useful. If you send money to someone as a gift via PayPal then the seller will not be charged a fee, but then the buyer is then not covered should the package not get to them. I always request signed for post to help with the proof of postage. We’ve been using shpock for over two years and prefer this platform to sell unwanted items, including technology, clothes and bric a brac. Its also great to be able to search locally for something you need and ask the seller questions before you visit to buy. The app is easy to use. Simply take a picture(s) of your item within the app, add a description, price it and click, its for sale. The majority of shpockers are honest and trustworthy. I like the opportunity to meet a buyer and receive cash - no fee to pay! I’m also happy to send items by post using paypal payment. Shpock instructs that when a deal is offered, accepted and confirmed it is legally binding. This is not true as some buyers will change their mind and fail to turn up for their items. Just re-list the sale and carry on. Be careful to only present your full address to buyers within the deal/offer dialogue of the app. All shpockers can see the open questions and answers section. Be firm with buyers about time frame for collection to minimise hassle. Shpock would improve if it provided an escrow service ie, hold a payment with an offer, requiring the buyer to have ‘skin in the game’. This would stop any time-wasting.